Hope everyone is having a great weekend! We put up our Christmas tree while we were snowed in and I had to do some of my Christmas shopping online, since it was little hard to get out. :P That being said, I'm totally in the Christmas mood and can't wait for Christmas to get here now! Friendly Universe has assorted planets, moons and stars mixed with blue violet glitter in an intense blue shimmered clear base. All nails are 2 coats over 2 coats of IsaDora Silver Sky. 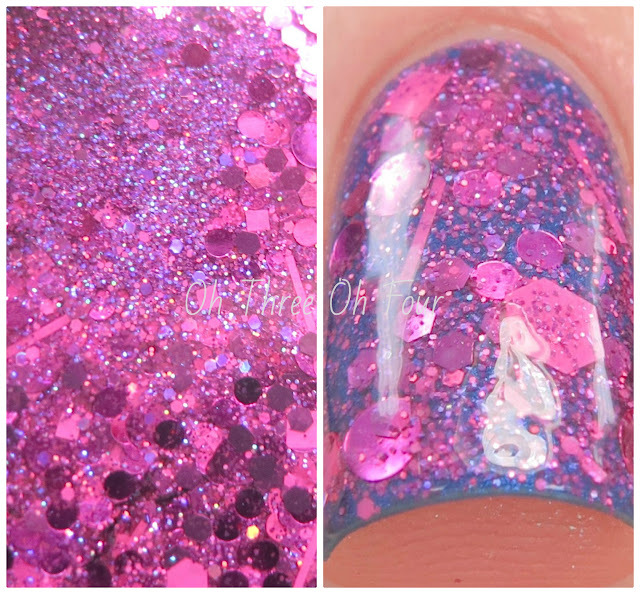 Pink Sapphire Stilettos is made with assorted magenta and neon pink glitters in a magenta shimmered clear base. Shown is 1 coat over 2 coats of Wet n Wild Violet Attack. Lynnderella Advents are a limited edition lacquer that can be found on Lynnderella.com. 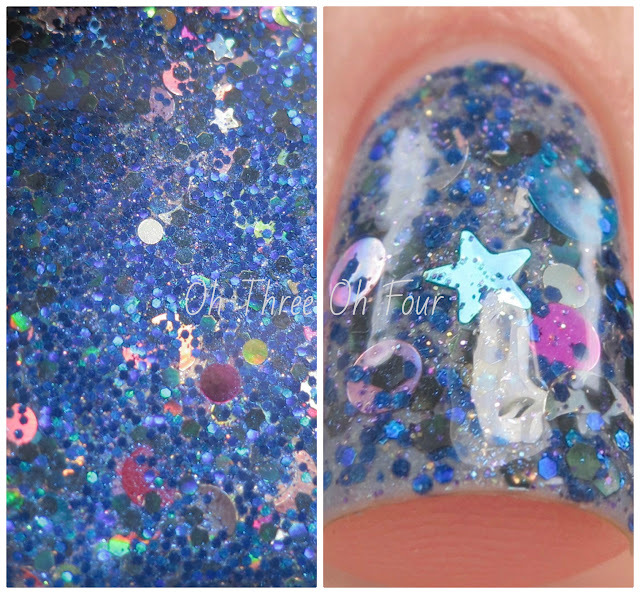 If you are international and interested in core colors make sure to check out Norway Nails and Glitter Connect. Follow the Lynnderella fan pages on Facebook, Twitter, Instagram, Pinterest and Tumblr.